Hugh Jackman honored the legacy of Stan Lee following his death Monday, telling Stephen Colbert of the lessons he learned from the Marvel co-creator who had changed the lives of so many. For one, Lee indirectly taught Jackman that a wolverine, his name sake hero, is in fact a real animal and not some made up character. Of course, it wasn’t the only time Jackman was embarrassed or humbled by being around Lee. As he paid tribute him, Jackman told Colbert about Lee’s enormous fame, sharing a story of himself in his prime as Wolverine at Comic-Con. 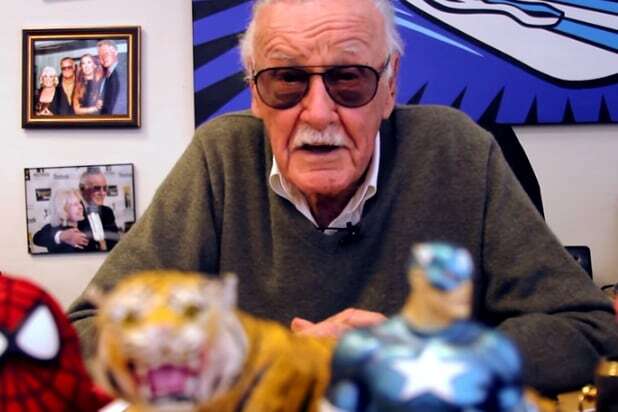 Jackman yesterday posted on Instagram that Lee was a “creative genius” after he died at the age of 95, adding to a chorus of voices singing the comic legend’s praises. And he reiterated that sentiment Monday night. Watch Jackman’s full segment on “The Late Show” above. Jackman’s film “The Front Runner” is in theaters now.